Samira Belyazid, a linguistics professor at the University of Moncton, Edmundston Campus (UMCE), gave a presentation at an international conference. 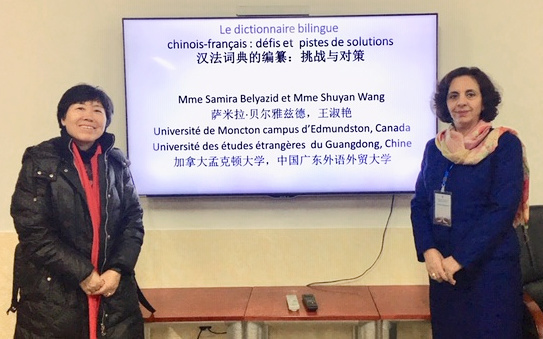 EDMUNDSTON, New Brunswick — Samira Belyazid, a linguistics professor at the University of Moncton, Edmundston Campus (UMCE), gave a presentation at an international conference held Jan. 11-13, 2019, in Xiangtan, China, by the Institute of Hunan science and technology, Zhengzhou University (China) and Shonbuk National University (South Korea). 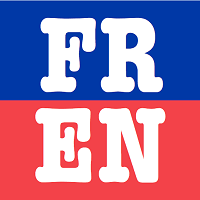 Belyazid’s presentation was entitled: The Chinese-French bilingual dictionary: challenge and possible solutions. This communication is part of a bilingual lexicography research project on which Belyazid is working with her colleague, Ms. Shuyan Wang, researcher at lexicography Research Center of the University of Foreign Studies in Guangdong, China.